It seems some parents may need to enter rehab to get the midichlorians flushed from their bloodstream. 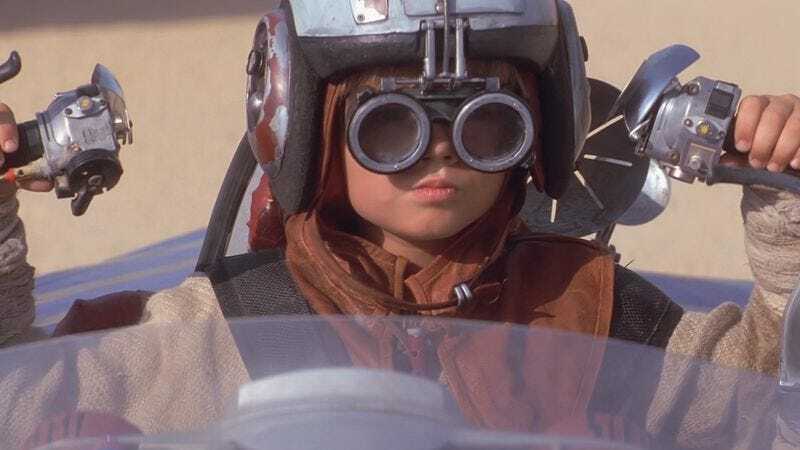 Entertainment Weekly reports that the list of the 1,000 most popular baby names in the U.S. for 2014 has been released, and coming in at 957th is Anakin, as in Anakin Skywalker, the podracing moppet who grows up to be Darth Vader. It seems these erstwhile sci-fi dorks are naming their children without reading The A.V. Club, because if they were, they would know that going through life as an “Anakin” is a living hell. Well, Anakin murders a bunch of children. In a movie meant to appeal to kids. That is the legacy with which you’re saddling your progeny. EW tries to put a positive spin on this by noting that “Luke” is all the way up at number 28, so we shouldn’t get too concerned about the Sith overtaking the good side of the Force. (That’s 218 Anakins to 10,431 Lukes.) Which is definitely true, because all those Lukes were for sure named after the Jedi knight we know and love, and not from any other mystically arcane source of baby names. Although, this news somewhat buries the lede, which is that the top ten names for babies in 2014 includes the name “Murgatroyd.” Apparently, people are longing for the days when calling their children to dinner sounded eerily like announcing the name of a Transformers villain. Oh, to return to the times when it was merely the parents of “Apple” and “Kal-El” who earned our good-natured ribbing. Now, we have to contend with people hoping to raise the next evil ruler of the galaxy.